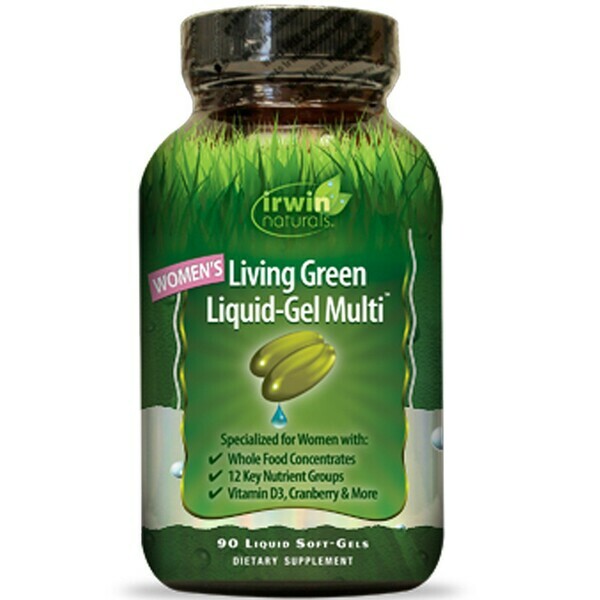 Women's Living Green Liquid-Gel Multi sets a new standard in today's world of low nutrition and high stress. Using powerful botanicals from whole living plants, this is not a one-size-fits-all formula....it's targeted to benefit the unique nutritional profile of women. For example, it delivers Vitamin D3, Evening Primrose Oil and Cranberry. Gelatin, purified water, glycerin, beeswax, soy lecithin, titanium dioxide, turmeric and sodium copper chlorophyllin. Usage Warning: Do not use if safety seal is broken. Check with your doctor before using this product if you are using medication or have any medical conditions. Do not use if you may become pregnant, are pregnant or nursing. Do not exceed recommended daily intake. Not intended for use by person under 18. Keep out of reach of children. Store in a cool, dry place.